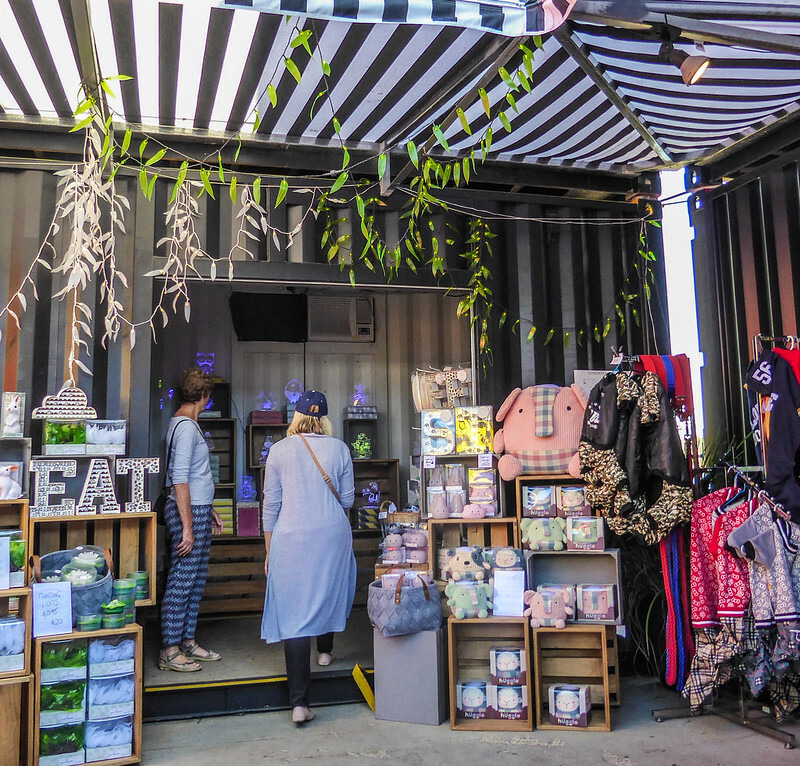 What: Eat Street Brisbane, formally known as Eat Street Markets, is basically a bunch of shipping containers on Brisbane’s Northshore where they have food, music, and goods to sell. 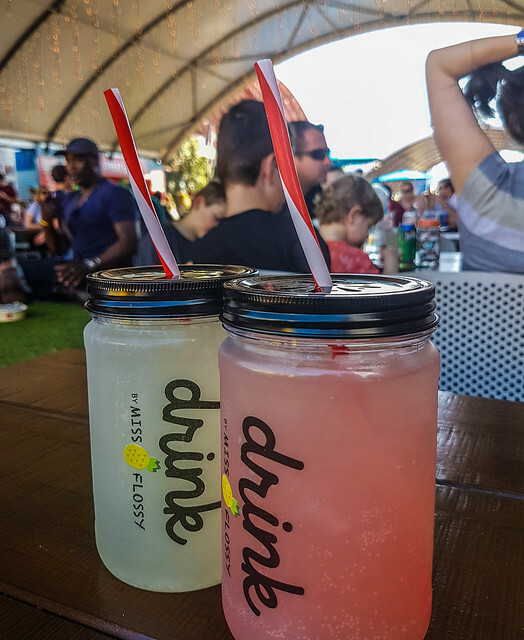 Where: Located on the up & coming Northshore, Eat Street is in close proximity to the Brisbane Airport and Portside Cruise Terminal. With loads of parking, you can park for free for the first two hours or you can get the ferry from the city (about 45 minutes and definitely worth it! ), which is a short 5 minute walk from the Carpark 2/Market Street entrance. 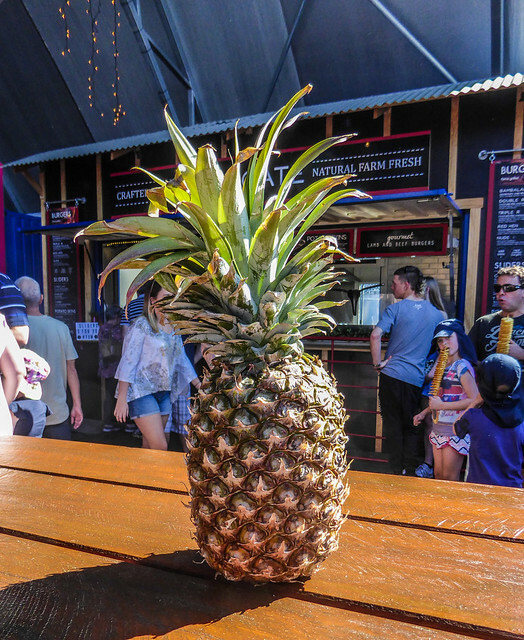 Cost: It costs AUD$2.50 to get in but kids under 12 are free. 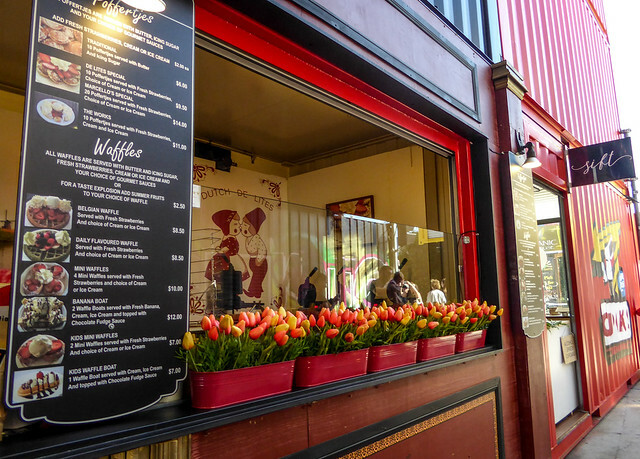 There is various street food containers and shops where costs vary. 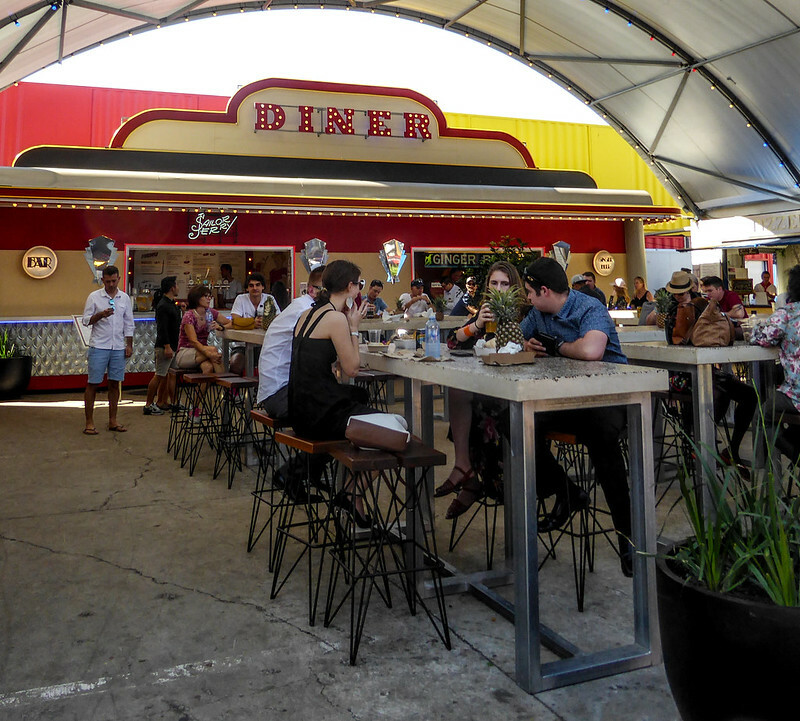 Set up in different areas, there is something for everyone at Eat Street. I went on a Sunday, arriving around 1pm and there were already a large number of people but it never felt crowded because of these different areas. Market Square is at one of the two entrances. 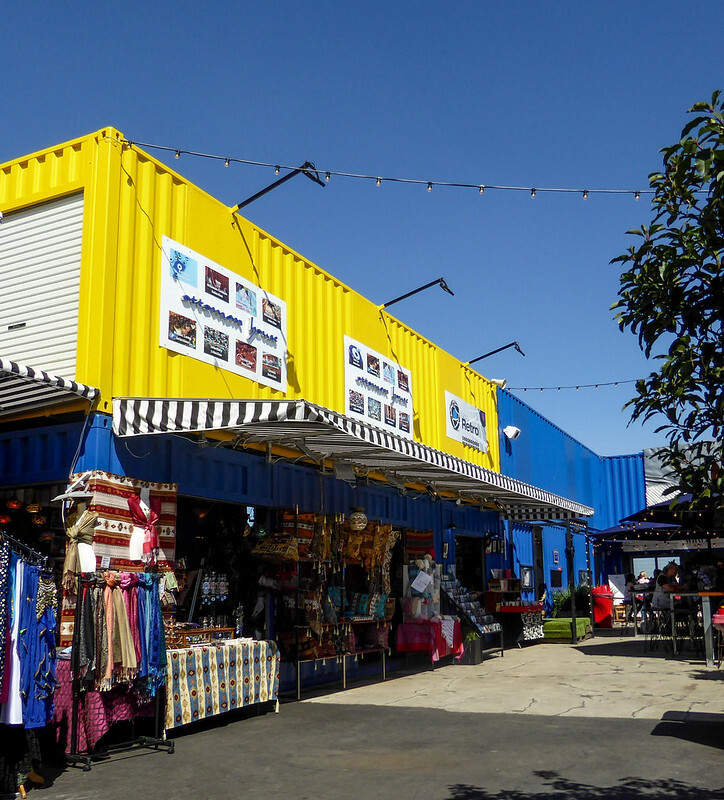 Located here are a couple of retail containers and a number of food outlets ranging from beef jerky to fairy floss. 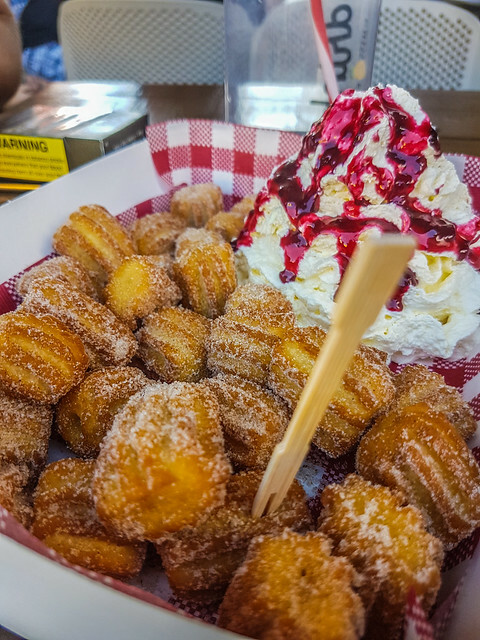 I tried some delicious churros from Arriba Churroria – complete with New Zealand boysenberries drizzled over cream; and a very refreshing Pink Lemonade from Miss Flossy’s truck – a 750ml drink will cost you AUD$7.50 and you can go back for refills for AUD$5.00 – which I did! 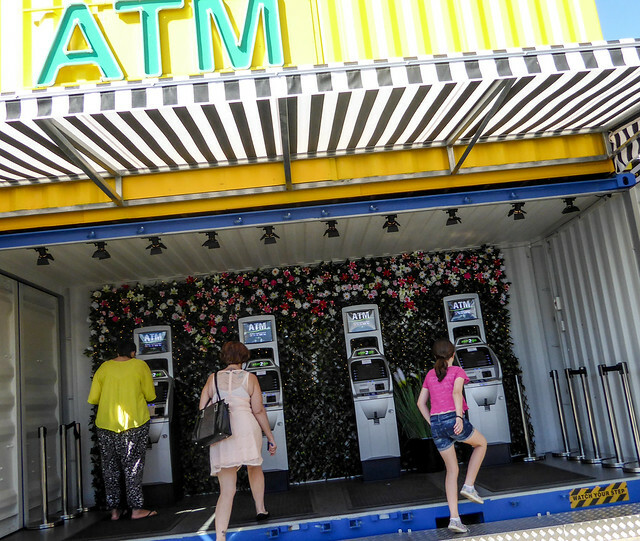 There are also toilets and a very cute looking ATM. Now I am not into seafood in any way shape or form so apart from a wander through, I didn’t stay too long. But you are into seafood, then this is the place for you. There is also a couple of bar areas that overlook the river. 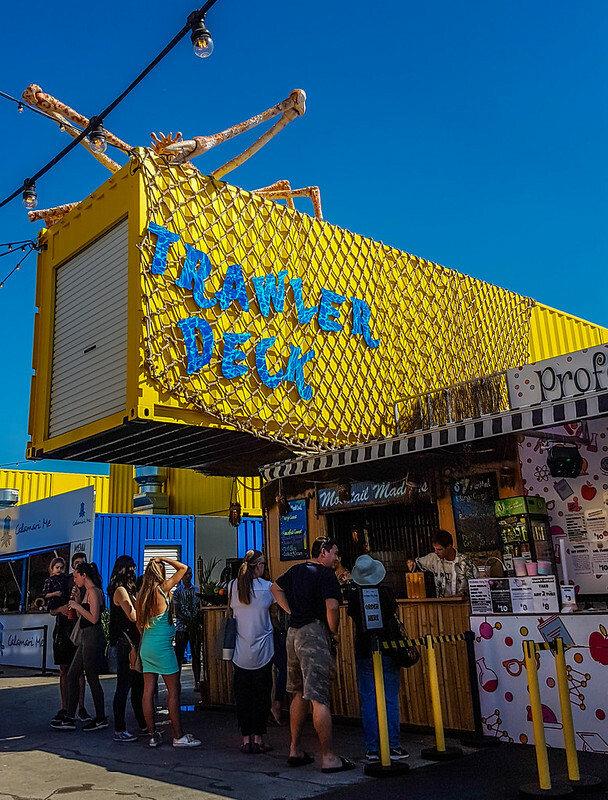 Oh yeah, and the Trawler Deck also has a life-size boat hanging around. 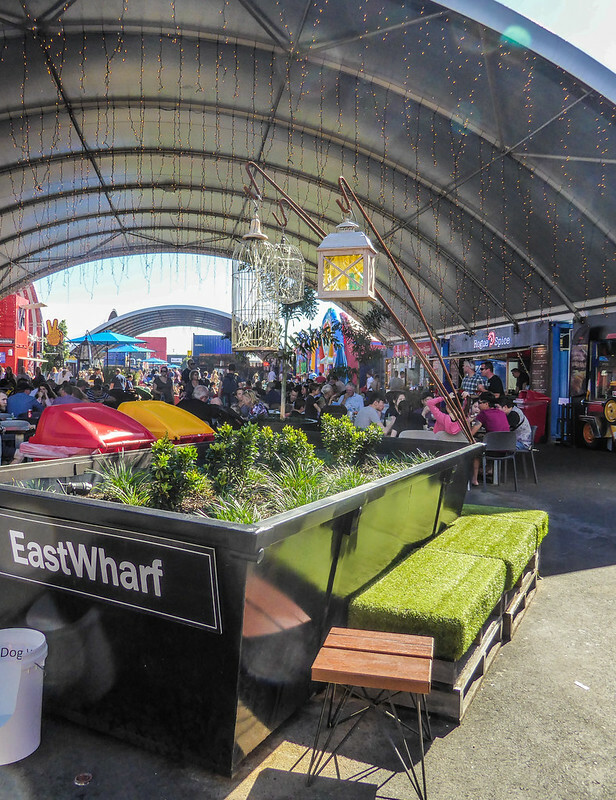 East Wharf has a great vibe with loads of international food options and seating. There is Turkish, Greek and Filipino just to name a few. I honestly didn’t even know about this area until my niece & I had walked from one end of Eat Street to the other & back again. We actually thought it was a kids area because there were a couple of kids play areas too. 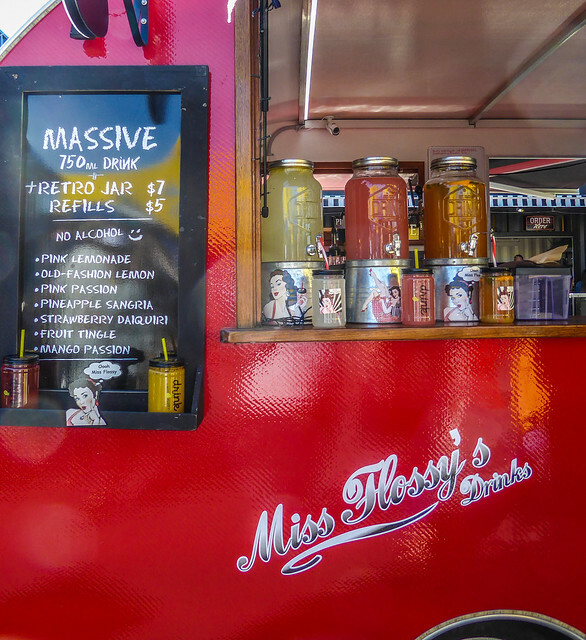 The photo above I actually took in Kombi Alley and I didn’t even notice the whopping great screen in front of me. 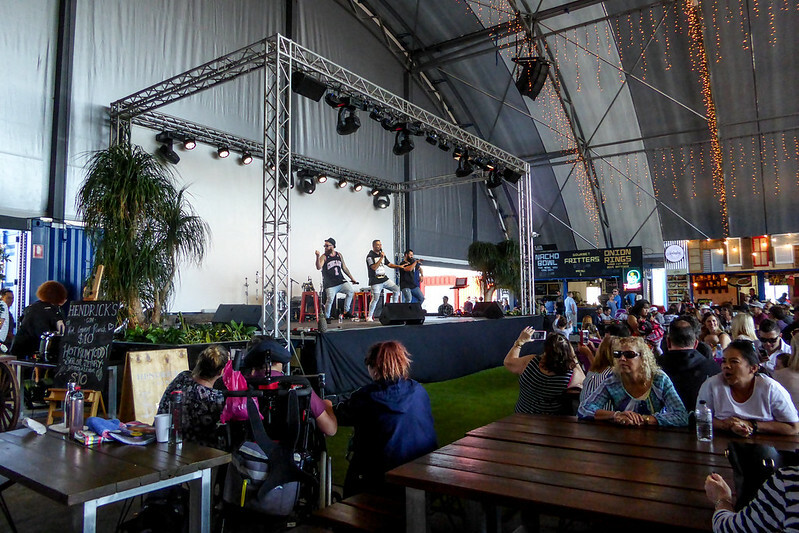 The Open Sky Deck also has live music at various times. 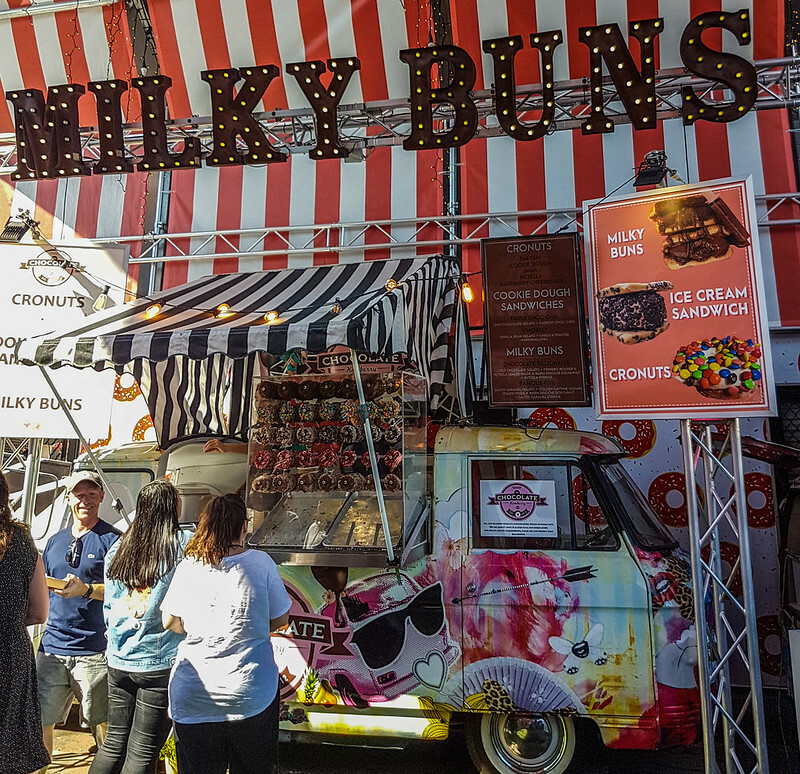 Kombi Alley is just that – an alley with Kombi vans who also sell delicious items such as donut chips – actual chips made out of donuts! And ice cream spaghetti.. I don’t know that is but I want it! 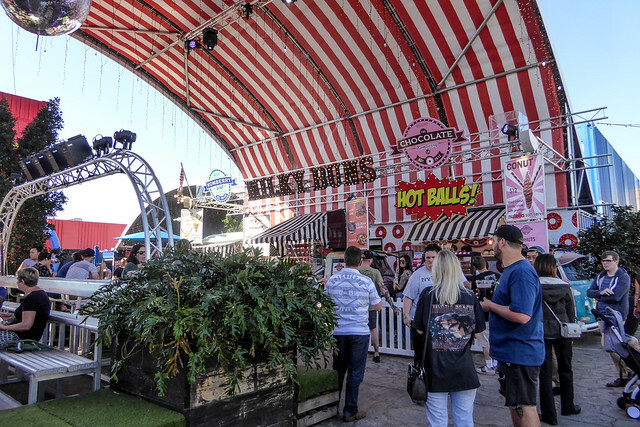 Oh and not to forget the Milky Buns & Hot Balls 😉 There is also bleachers to sit and enjoy your ice cream spaghetti and a giant disco ball because you should also have a giant disco ball when Milky Buns & Hot Balls are involved. 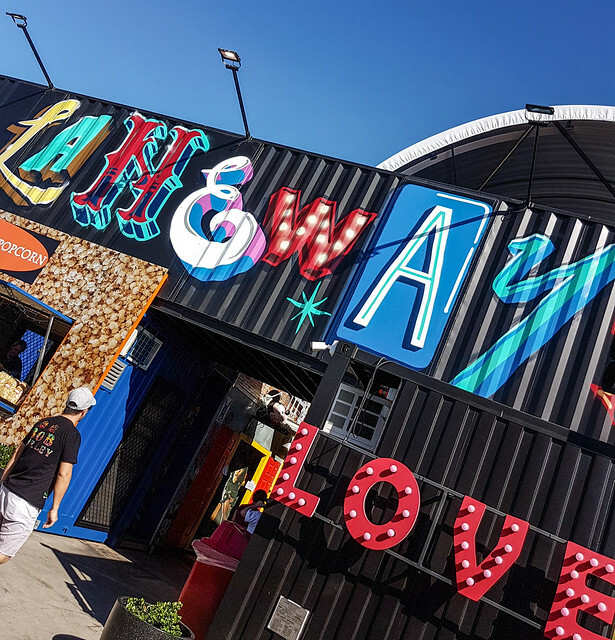 Similar to East Wharf, West Wharf is set up with loads of seating to enjoy the food & drink from this area such as WOW Sausage, A-Meri Seoul, and Funky Dragon Dumpling (seriously, these names!). FYI the above photo, whist not perfect, is one of my favourites of the day. Sadly for some unknown reason, I didn’t take any photos of this area.. I guess I will just have to go back! 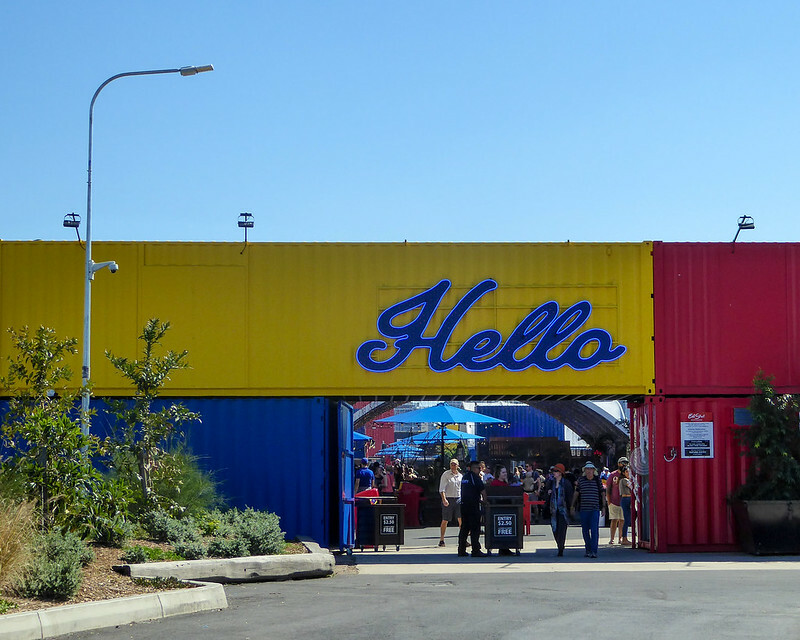 But as you would guess, this is an area where you can get Asian food. The main drawcard of this area is obviously the above, aptly named Diner but there are other options such as Don’t Worry, Eat Curry. 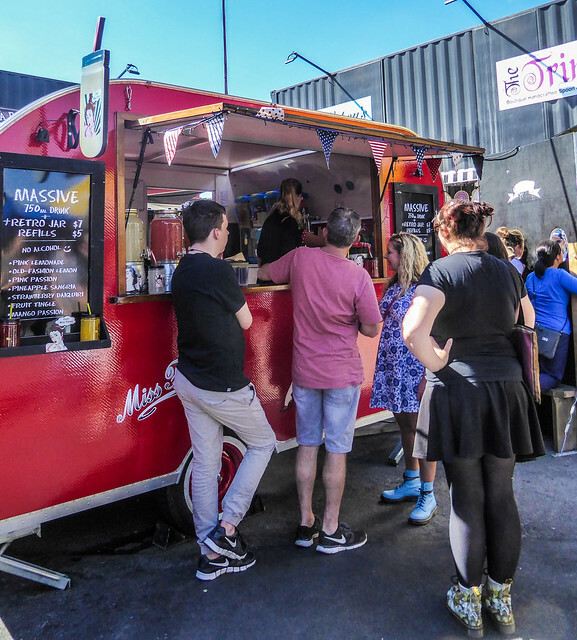 Oh and I should point out too that dogs are welcome at Eat Street, as long as you keep them on a lease. The Main Deck is where it all happens. 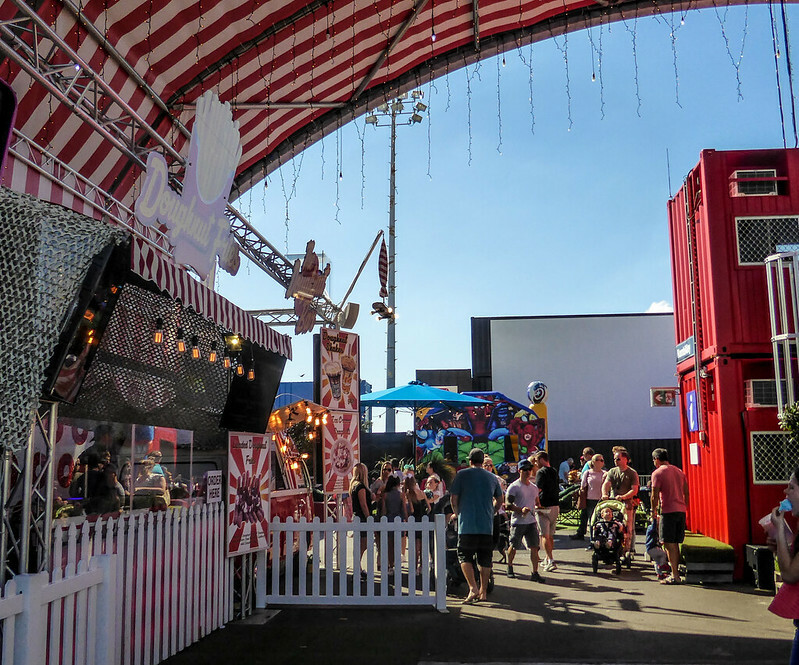 A central stage surrounded by heaps more food options (I’m sensing a theme here, Eat Street!) and loads of seating. When we arrived the above lads, Geed Up, were on stage and to say they were very good was an understatement. 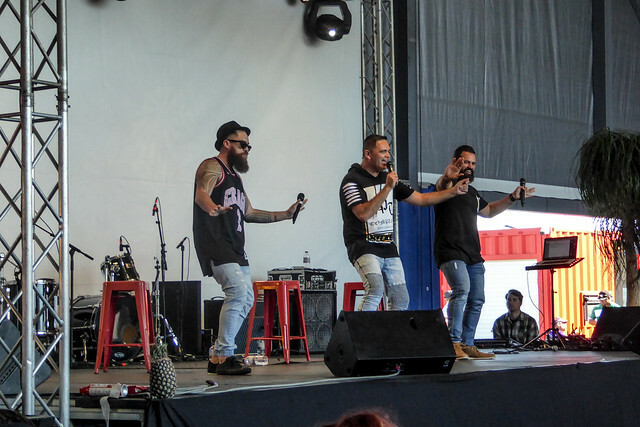 Definitely a crowd favourite with their moves. 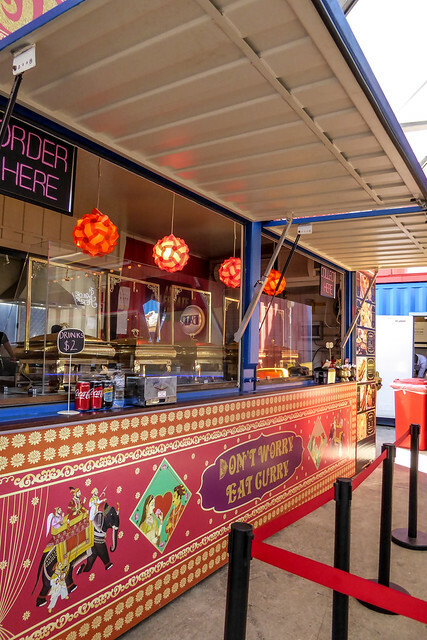 You are able to hire out a couple of function areas at Eat Street which means that you can enjoy all that Eat Street has to offer as well has having a private area that is available just for you and your party. Definitely the more chilled out area of Eat Street. When my niece & I arrived here, we both decided this was the ‘adult’ area. It was probably one of my favourite areas to be honest. 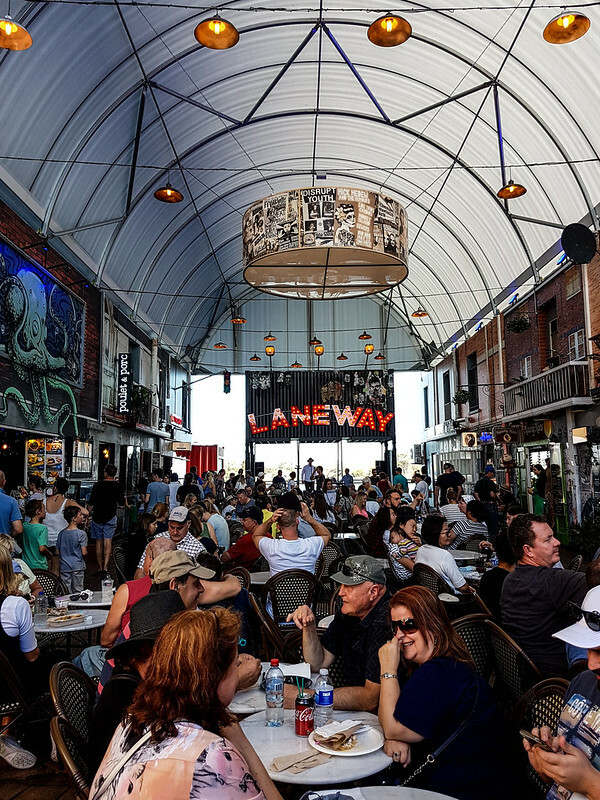 Cool chilled out music, heaps of seating and eateries (again) plus it has been set up to resemble what I would imagine a cool New Orleans street would look like. Down the opposite end to Market Square, Traders Square has a few more retail shops. It is also the other entrance/exit of Eat Street and also houses another ATM. Overview: I had been to Eat Street when it was perhaps a little more primitive, it was pretty cool then but how they have it set up now really is done well. 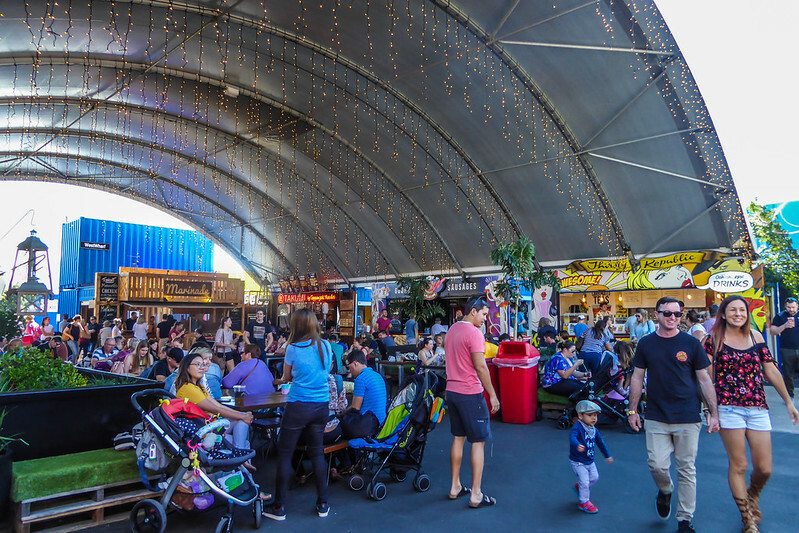 About 75% of the area is under cover – which is very handy for those crazy Brisbane storms we get, and each area definitely has its own vibe. 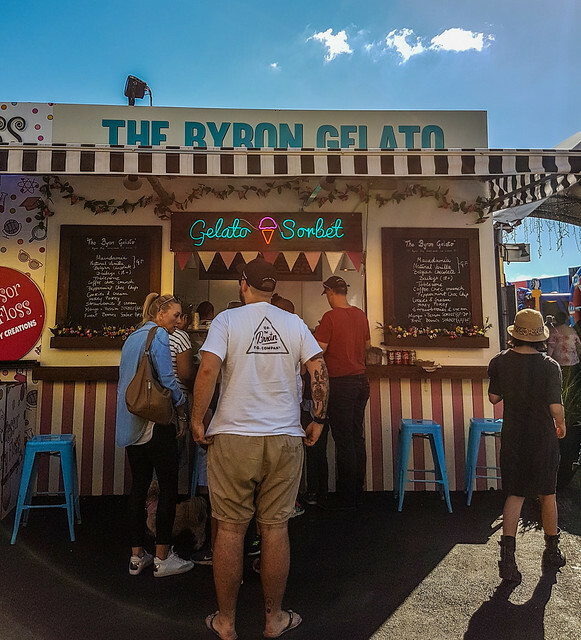 For anyone visiting Brisbane, or any locals out there, then I would definitely recommend Eat Street as a place to visit. It did take me a few years to go back because I agree, it was pretty busy. It has moved to new premises (not far from where it was) and it’s set out a lot better now. Though I don’t know what it would be like on a Friday/Saturday night! It’s a pretty cool place to hang out.